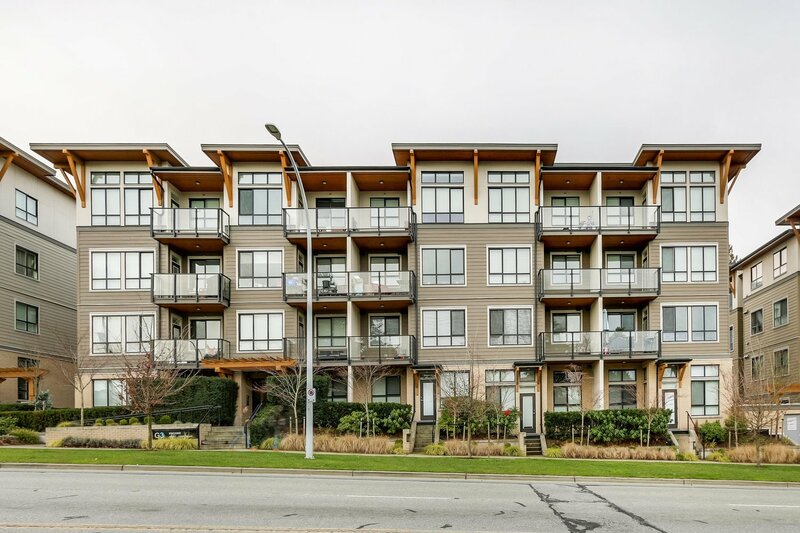 103 10477 154 Street, Surrey - 2 beds, 2 baths - For Sale | Shawn Bhatt - Century 21 Coastal Realty (Surrey) Ltd.
Beautiful 5 year old large 2 BR and 2 Bath condo, total of 772 sq. ft. spacious living space. Inside unit at G3 Residences in the heart of Guildford. 9 foot ceiling, bright & open concept on the main floor with view of court yard. Laminate flooring, lots of built-in furnitures. Kitchen features Quartz Countertop, stainless Steel appliances & soft closing cabinets. Master BDRM with spacious closets & ensuite bath. Second bedroom with ensuite bath. This unit is conveniently located beside guest suite and party room. 1 locker & 1 parking on gated secured underground parking. No rental restrictions, 2 pets w/restriction. Close to schools, parks, Guildford Recreation Centra-Aquatic, library, Guildford Town Centre. Easy access to Hwy 1, Port Mann Bridge, Pattullo Bridge & skytrain station.